Today, New Jersey and Connecticut are the last two states to reach Tax Freedom Day, the date on which residents in each state have earned enough collective income to pay off their total federal, state, and local tax bill. For residents of the Constitution State and the Garden State, the date arrives 128 days into 2014 and 23 days after the federal tax filing deadline. Over a month ago, Louisiana (Mar 30), Mississippi (Apr 2), and South Dakota (Apr 4) were the first states to arrive. The national Tax Freedom Day fell back on Apr 21, but the total tax burden borne by residents of different states varies considerably due to differing state tax policies and because of the progressivity of the federal tax system. 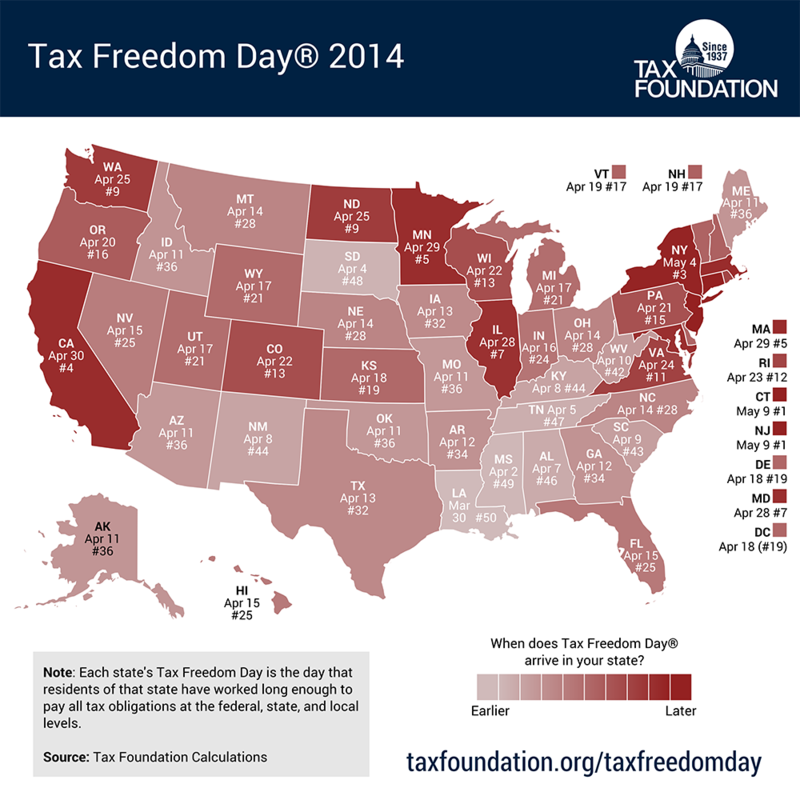 This means a combination of higher-income and higher-tax states celebrate Tax Freedom Day later.